Application for 2019 Study Abroad and Internship Program (FALL) is now open. Please read the application guideline carefully, register the online application form, and submit the application documents by the deadline. Both of the following procedures are necessary for the application. Once you register the online application form, you need to submit the application documents to Counter No.4, Nakano Campus Office by the deadline. The applicant must submit them by themselves. Please read the application guideline carefully, and submit the application documents by the deadline. 2. Courses related to studying abroad include Introduction to Study Abroad , International Education and Exchanges,Intercultural Education. The School of Global Japanese Studies offers both long-term study abroad programs (Study abroad and Internship programs) and short-term programs (Language and Volunteer programs during summer/spring break), as the school encourages students to acquire more global awareness as well as an understanding of Japan from many perspectives. SGJS also offers some opportunities to earn credit when students participate in volunteer/internship programs held by CIEE. Credit Credits earned at the host institution may be transferrable to SGJS upon meeting certain requirements. More than 2 credits could be transferred under certain requirements. *1 Depending on the program. *2 Depending on the program(tuition fee, living expenses, etc..) and the period. As for the Study Abroad and Internship Programs, SGJS offers a subsidy, equal to the amount of the second semester tuition fee or for one academic year tuition fee at Meiji University at most. Students also need to pay for airfare as well as visa application and insurance fees. The expenses may differ depending on the rate and each student's living style. *3　Depending on the program. Some institutions have ESOL programs. Under this program, students will take one-week introductory education at Florida State University, and will do the internship at the Walt Disney World in Florida. The Walt Disney World is famous for one of the top amusement park and for its hospitality. 1. Take 1 month of language practice and introductory for the internship at University of Hawaii. 3. Do the internship at one of four institutions (hotels, travel agencies, or airline companies). Under this program, you will take regular classes at KCC in the fall semester while doing an internship at one of four institutions in the fall and spring semester. The internships will be done at hotels, travel agencies, or airline companies. Under this program, students will take regular classes from September to November at Udayana University, which will be followed by internship programs from November to February. Students will do their internships at four or five star hotels in Bali. Classes will be held in English. The University of Oregon (UO) is a state university with more than 20,000 students. Established in 1876, the university is located in Eugene, a city with a population of about 150,000. The partner university and Meiji University have a long history of mutual exchange. UO accepts many international students from East Asia. The State University of New York (SUNY) was established in 1948 with 64 campuses across New York State. Located in a small town a two-hour drive from Manhattan, SUNY New Paltz is a small liberal arts college. 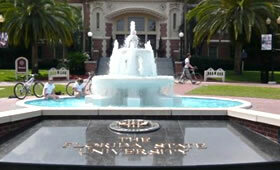 It was selected as the “Hottest Small State School” by Newsweek magazine in 2008 and so is highly regarded. It has been a partner of Meiji University since 2006. Lund University is the second oldest university in Sweden, as it is established in 1666. There are about 500 BA courses and 90 master’s courses, and Lund University is consistently ranked as one of the world’s top 100 universities. It is also famous for its internationality as more than 660 universities are its partner around the world. Established in 1996, Södertörn University is located in Huddinge, which is 20 minutes away from central Stockholm by train. There are 11,000 students and the university offers a variety of 250 classes. 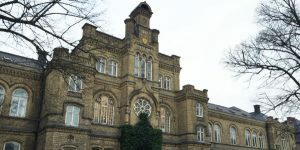 The university is highly regarded in the fields of Baltic and East European Studies. Under this program, students will take classes in English such as the History of Nordic Countries and Tourism Studies. The University of Oxford is a British university, centered in the City of Oxford. Established in the 11th century, it is the oldest university in the English-speaking world and was ranked 4th in 2011 by the newspaper, Times Higher Education Supplement. 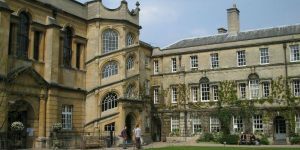 Hertford College was founded in 1284 and is said to have the most friendly and liberal atmosphere of the 39 colleges in Oxford. Kapi'olani Community College is the two-year school, and is within the University of Hawai'i System. Among of all 7 community colleges of UH, Kapi'olani Community College is the biggest. Students are expected to take classes, mostly in a small class. Drive from San Francisco to the south for 45 minutes, Foothill College is located in the Silicon Valley. 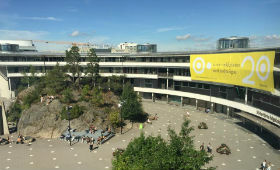 Students will enjoy its warm and fine weather there over the year. For the past 50 years, Foothill College is reputed as a top two-year college as many students transferred to top universities. 40 minutes down from Seattle, Green River College has lots of greens and updated equipment for studying. 90% of its graduated students transferred to four year universities. Green River College is well known for its student services for international students: GRC once won the Paul Simon Award for Campus Internationalization in 2013. Pierce College is ranked top in Washington State and 2nd over the USA for its transfer rate. 400 international students are studying at Pierce College, and the college has been working on its internationalization. It takes only 20 minutes from Seattle to Shoreline Community College, and the college is located in Shoreline City which is along the seaside. The average GPA of international students is higher than 3.50 and that of transfer students is higher than 3.1. To support students take high level classes, the college provides a well-organized supporting system. Ohlone College is located in the middle of San Francisco and San Jose, which is one hour from San Francisco. The campus is surrounded by lots of greens, yet it is also easy to get to the Silicon Valley and San Francisco by train. International students are from more than 30 countries over the world. Most students are living in Chico, a college town which has been repeatedly chosen as one of the most livable cities in the USA. Each year, more than 600 students transfer to a UC or a CSU. Students with TOEFL iBT scores of 51 or above are able to take regular courses at Butte College. Half the students at Everett Community College are planning to transfer to four year universities. For now, there are approximately 450 international students and the college is pursuing more internationalization. Everett Community College has some Japan-related courses and a Japanese garden on its campus, which have inspired many students to become interested in Japanese culture. Students are able to join clubs and take part in many out-of-class activities. Students have easy access to the bank, post office, restaurants and a big shopping mall, which enable them to live comfortably. 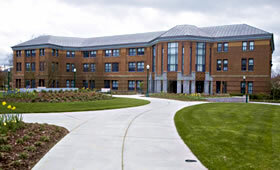 Students are also able to live in on-campus housing. The college’s international student service is highly reputed. 30 minutes away from the San Francisco, Contra Costa College is located in San Pablo. This college is one of the three in the Contra Costa Community College District. Contra Costa College is known for the beautiful greenery of its campus and its easy access to Berkeley and the San Francisco Bay Area. There are about 150 international students and 8,000 students in total. Diablo Valley College is in the Pleasant Hill, which is 30 minutes from San Francisco by car. This college is one of the three in the Contra Costa Community College District. Its campus is known for its green and wide-open spaces. 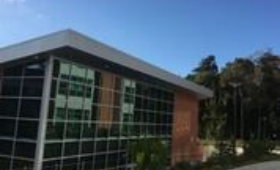 Diablo Valley College is the top college for the number of students who transfer to UC Berkeley among other 113 community colleges in California. Los Medanos College is in the San Francisco East Bay Area. 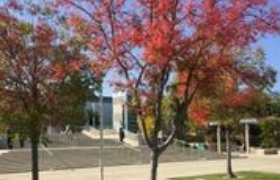 This college is one of the three colleges in the of Contra Costa Community College District. 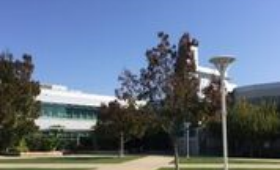 Many students at Los Medanos College transfer to the world-famous universities such as UC Berkley, UC Davies, and UCLA. To prevent problems for students while abroad, the university provides a variety of instructive opportunities, including the class, Studying Abroad and International Education Exchange . Students are also given a safety handbook. Meiji University is a member of the Japanese Council for the Safety of Overseas Students, which has established a reputation for crisis management for students overseas and its emergency system. We provide thorough safety management in liaison with all departments at the university, the Ministry of Foreign Affairs, diplomatic establishments abroad, insurance companies, and travel agencies.